Lanaya and her husband have the privilege of parenting two beautiful girls who joined their family through international adoption. Adoption makes their family a whole lot more beautiful, and brings unique challenges to the table. This has driven her in her pursuit of adoption education, particularly from adoptee and birth parent voices, which she seeks to elevate in the adoption community. Through her blog and book reviews, on Instagram @adoption.books, Lanaya shares her love of books as tools for creating dialogue about the complexities of adoption. She believes passionately in the value of every human life and the incredible grace of God. She and her family live in Alberta, Canada. Connect with Lanaya on Instagram @lanaya.graham, and through her blog found here. McCall Aldridge is the lead storyteller at Fund The Nations and is an adoptive mom! McCall and her husband fundraised about 90% of their international adoption through selling t-shirts. Whoa! What?! What did they do and how did they do it? We can’t wait to listen to McCall tell her story and share with us some of the do’s and don’ts of t-shirt fundraising. And check out Fund the Nations! Amy is the founder of @toddleradoption ! Amy and husband Charlie adopted their daughter Lee as a toddler and have learned so much since adopting outside of their race and raising their black daughter. Amy shares with us her perspective as well as more on the idea that telling our children their adoption story isn’t about telling them in one specific moment but through an evolving conversation. Kelsey Vander Vliet is a birthmom to her son, Graham, who she placed for adoption three years ago. Kelsey is an adoption paralegal, is set to attend law school in Fall of 2019, and currently lives in California! Kelsey is passionate about all things adoption, in particular ethical adoptions and educating adoptive parents on how to be considerate of their child’s first family! 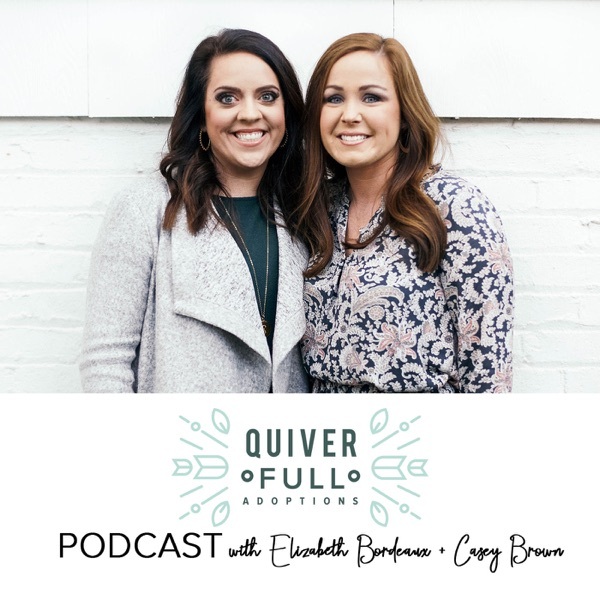 In today's episode we are chatting with Carly Levingston, adoptive mom and founder of the Heart Grown Box. We are excited to hear about Carly’s story, the purpose behind Heart Grown Box, and how adoption has impacted her family. You can find out more about HeartGrown here. Today we are chatting with Brett Furst, licensed Marriage and Family Therapist, currently completing his doctorate. Brett works at PACE recovery as a primary therapist, and has done so for almost 3 years now. He currently lives in California with his wife and 3 year old daughter. Brett is an adult adoptee and we are discussing addiction and the impact of adoption on the teen and adolescent years as well as nature versus nurture. In today's episode we are chatting with Mallory Fogas. Mallory is an adult adoptee, partial adoptee as she terms it, and is the founder of Arrow & Root, a profile design company built to serve hopeful adoptive parents! She lives in Georgia with her hubby Josh and their son, Grey! She has five adopted siblings who all rock an extra chromosome! You can find out more about Arrow and Root here. In today's episode we chat with Sarajane Case from @enneagramandcoffee all about how our enneagram types handle stressors such as the adoption process. Take the enneagram quiz here to find out which type you are.